Welcome to the first day of the 12 days of Cookies. Some of the recipes are the normal tried and true, and a few are a curve ball that I threw in just for fun. I want to take a moment to thank all of my friends, family, co-workers, and the guys in the Air Force overseas for being my taste test guinea pigs over the last few weeks. Cookie eating is a hard job, but someone had to do it! THANK YOU for saving my waistline! 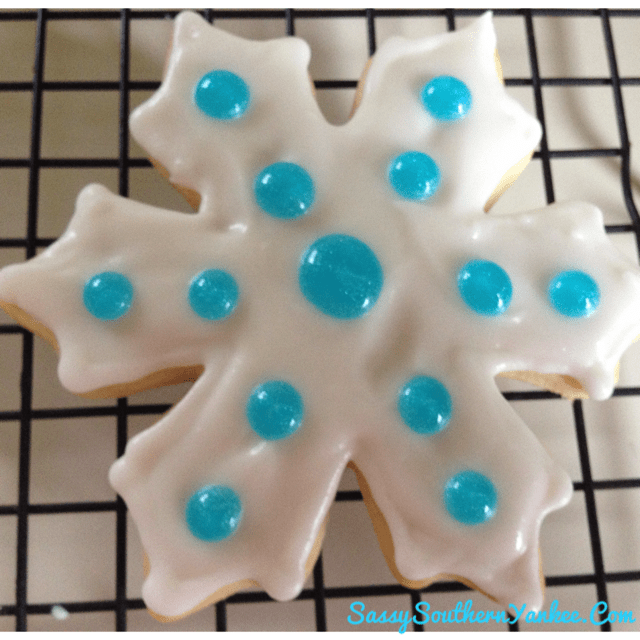 I don’t care who you are you always need that one go to reliable sugar cookie recipe. This almond sugar cookie dough is a bit of a twist on your normal sugar cookie that I’m sure your loved ones will enjoy. 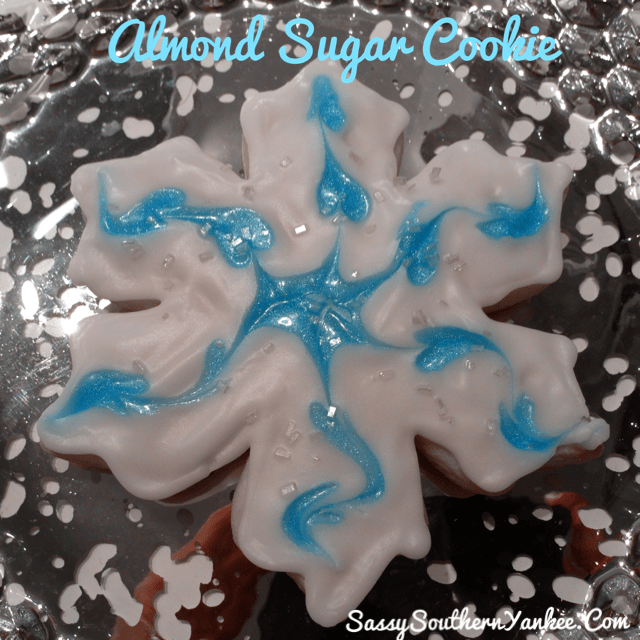 The Almond Sugar Cookie is light, buttery, and has the perfect balance of sweetness. You can frost it or have it plain. I will post an easy frosting recipe below as well. I know the kids always get a kick out of helping do the cutouts and decorating. Have fun and enjoy the start of the holiday season! First start out by beating the granulated sugar and butter in a large bowl until light and fluffy. Add the eggs, 2 teaspoons almond extract and vanilla, beat until smooth. Add flour, baking powder, baking soda, and salt; beat until well blended. Take 2 good size pieces of plastic wrap and place them on the counter. Divide the dough into two flattened pieces and wrap them in the plastic wrap. Refrigerate at least 2-3 hours or up to 3 days. (you can also freeze the dough up to 2 months just thaw before using). When you are ready to bake pre-heat the oven to 375*. Working with one disk of dough at a time. Take a bit of flour and place it on the counter then set the dough on top. next place a light dusting of flour on the top of the dough and a bit on your rolling pin. Roll out the dough until it is approximately 1/4 inch thickness. Once you have the dough all rolled out the fun part starts! Take out whatever your favorite cookie cutters are and make your cutouts. Place the cutouts on an ungreased cookie sheet about 1 inch apart. Bake 7-8 minutes or until the edges are firm and the bottoms are golden brown. Remove from the cookie sheets, and place on a wire rack to cool. Repeat until you have used all of the dough. Once all of your cookies are baked you have a few options. You can eat them as is, decorate them or freeze them to eat/decorate later (can be stored in the freezer unfrosted up to 2 months). Makes around 3 dozen cookies. 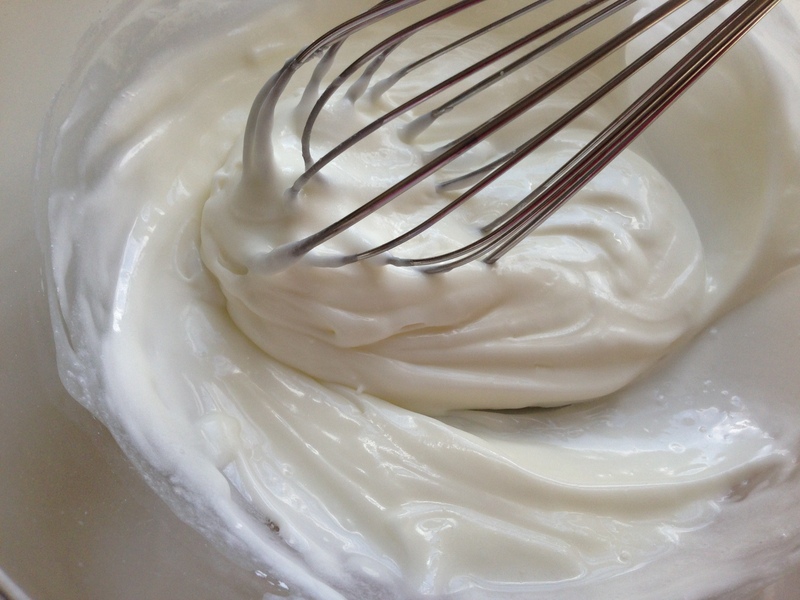 Combine all frosting ingredients until completely blended and smooth. You can add additional milk to get to desired constancy. Frost and decorate as much as you like. When you are ready to bake pre-heat the oven to 375*. Working with one disk of dough at a time. Take a bit of flour and place it on the counter then set the dough on top. next place a light dusting of flour on the top of the dough and a bit on your rolling pin. 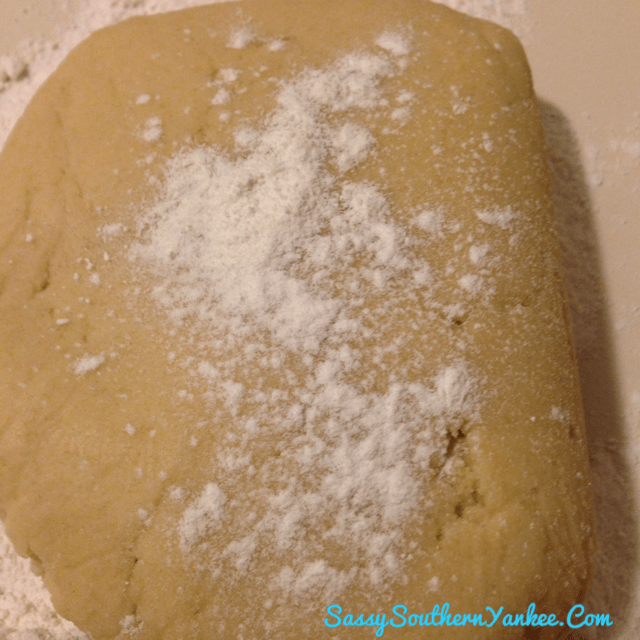 Roll out the dough until it is approximately ¼ inch thickness. Frosting- Combine all frosting ingredients until completely blended and smooth. You can add additional milk to get to desired constancy. Frost and decorate as much as you like. This entry was posted in Dessert and tagged Almond Cookie, Almond Sugar Cookie, Cookie, Cutout Cookie, Frosting, Holiday Dessert, Sugar Cookie. Very pretty snowflakes, Jessica! Could you please explain the blue sparkly frosting? I know how to do the drop and drag to get the pretty heart designs but was curious about the sparkle. Is it sparkle jell from a tube? Thank You! The blue sparkly frosting is from Wilton they make all different colors with sparkles. I hope you enjoy the cookies!